The Master of The Worshipful Company of Clockmakers (British Horological Institute, President). The Master visited Champ's Clock Shop during a stand in Atlanta GA, June 1997. The Master was kind enough to have the History of our Clock's Maker Researched and Share the Information in this Letter. 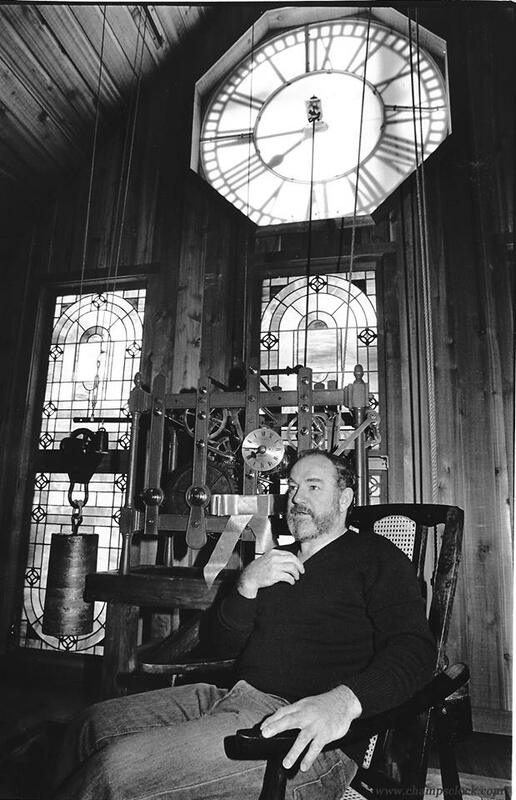 The Clock was restored installed in our specially built clock tower, completed circa 1982. The exterior was designed to resemble Henry Ford's Scotch Settlement one room schoolhouse which was moved to Greenfield Village. The interior is a rustic loft and built to support the clock and bell. 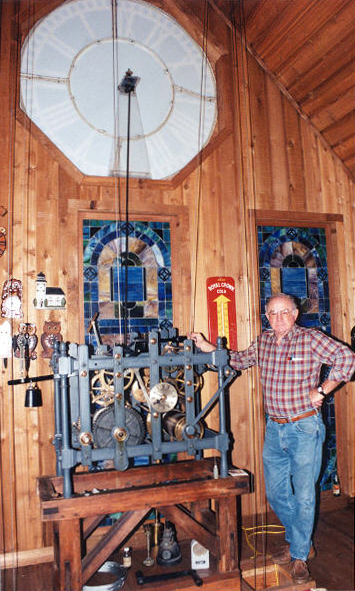 A story about our clock was published in Clock & Watch Review magazine January 1983. In June of 1997 The Master of The Worshipful Company of Clockmakers (British Horological Institute, President) Visited our shop to document the John Moore Clock. 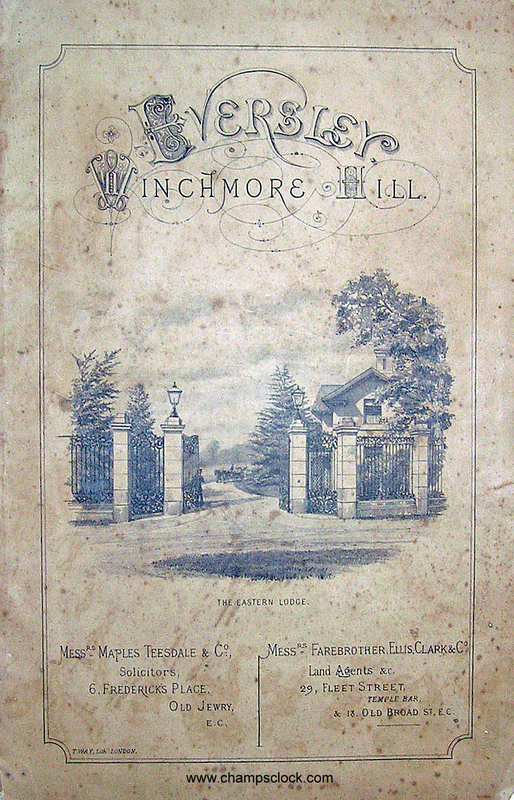 In 2015 we started researching our clocks past after receiving a book of John Moore's annual production and sales records, Compiled by: Chris McKay of the Antiquarian Horological Society's Turret Clock Group https://www.ahsoc.org/groups/turret-clock-group/. The book listed only one clock that matched our clocks description manufactured in 1865. It was listed as: "The Chase, Winchmore Hill. 2' 6" dial for H. Wigan Esq"
The Chase (Wade's Hill Rd.) runs between Winchmore Hill Village to the East Gate of Wigan's Home Estate at Green Dragon Ln. 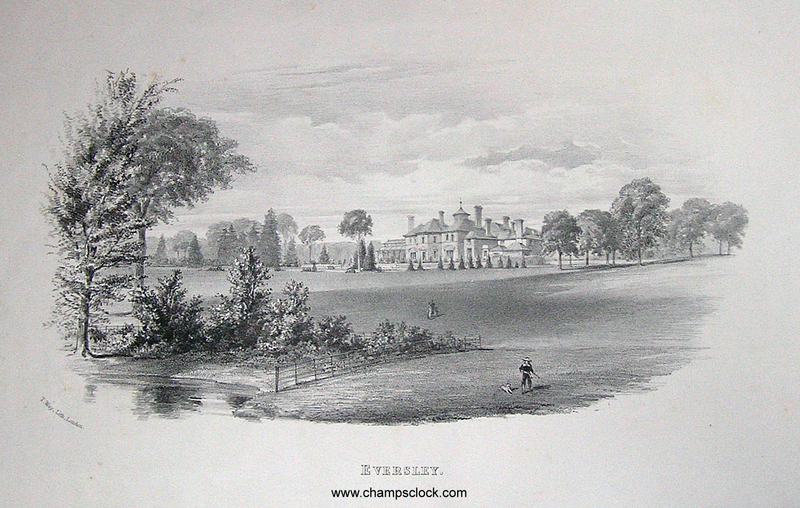 The Estate was known as Eversley. A Grand Italian style mansion with vast gardens, Farmery, Stables, and entry gate Lodges spread across 40 Acres. Henry Wigan died September 18 1885 and his estate went up for auction May 31st 1888. The next owner of Eversley was Lady Caroline Anne Loftus, Marchioness of Ely (born in Caithness circa 1850). She shows as head of household in the 1901 & 1911 Census and lived there till her death in 1917. The mansion was demolished in the 1920s and most of the estate became Eversley Park. It is not known where on the estate the clock tower was located, but normally in the stables. 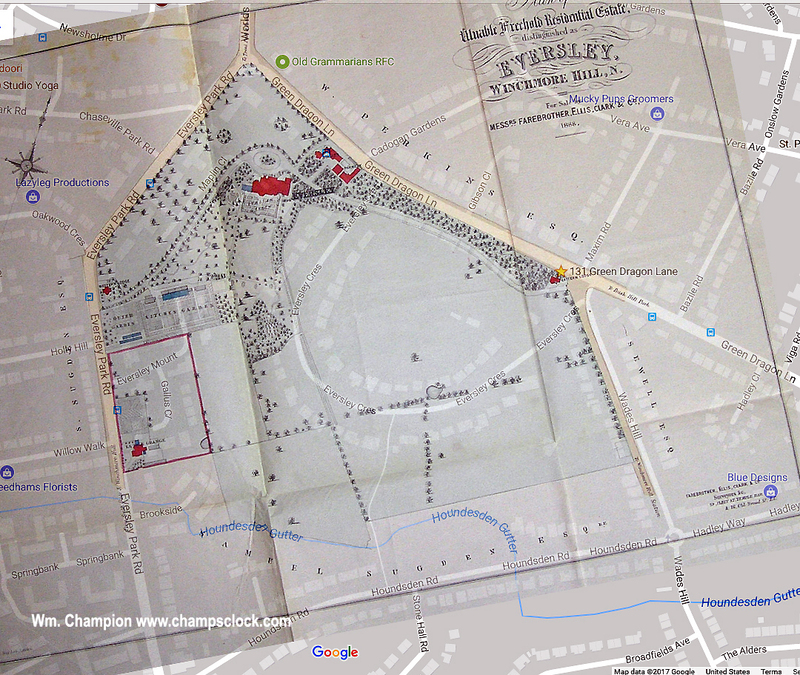 The Eversley stables and farmery were located near 151 Green Dragon Ln. The Main Italian style mansion was centered near the east end of Maplin Close. The East Gate Lodge was 131 Green Dragon Ln. The Kitchen Garden Walls still stand and surround homes at the end of Eversley Mount and directly behind Oak Lodge at 50 Eversley park rd. 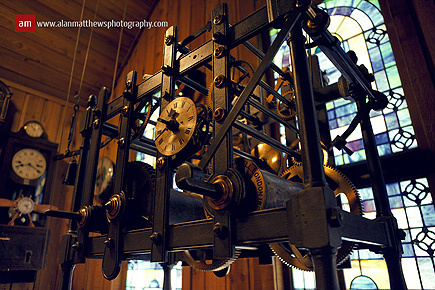 We are always searching for the missing pieces of the puzzle of our clocks history. Thank You Steve King of the UK for sharing the scans below & sharing knowledge of the estate.